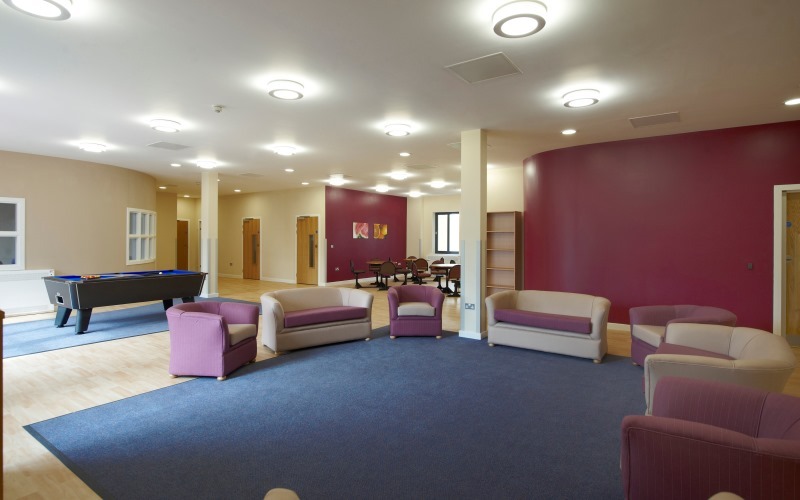 Alvaston Ward is a 16 bed specialist low secure service for women with a primary diagnosis of emotionally unstable personality disorder. The ward can support women with highly complex needs and those who have experienced previously unsuccessful placements. The primary pre-cursor to an admission to Alvaston Ward is that the person is ready to engage in a therapeutic programme. Service users may have a history of involvement in the criminal justice system or may present with significantly challenging behaviour, severe self-neglect and vulnerability. The multi-disciplinary team proactively use Dialectical Behavioural Therapy (DBT) and Schema Therapy. The DBT programme is adapted to the needs of the service users and is tailored for individuals who may have educational or learning difficulty issues, such as dyslexia, which may act as barriers to the standard DBT programme. Alvaston Ward has achieved the Enabling Environments Award from the Royal College of Psychiatrists’ Centre for Quality Improvement. Cygnet Hospital Derby are also proud to hold the Investors in People Gold Award.